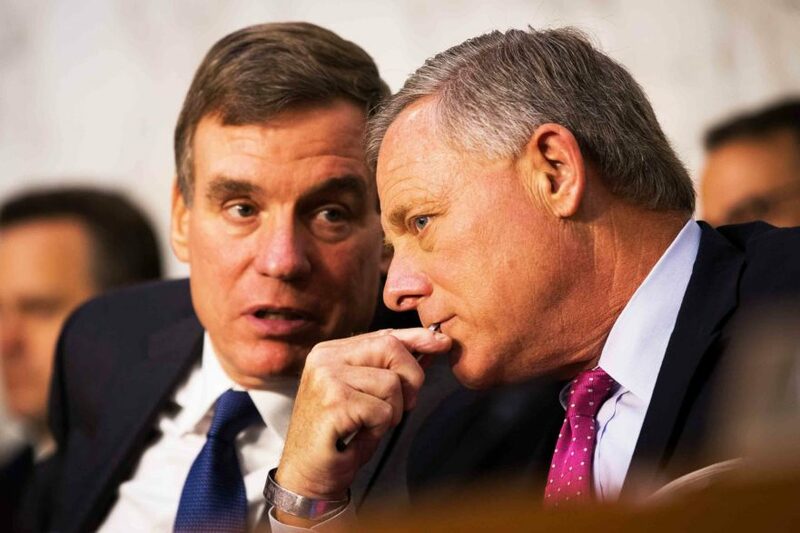 Vice Chairman Sen. Mark Warner (D-Va.) speaks with Committee Chairman Sen. Richard Burr (R-N.C.) during a Senate Intelligence Committee hearing on June 8, 2017. 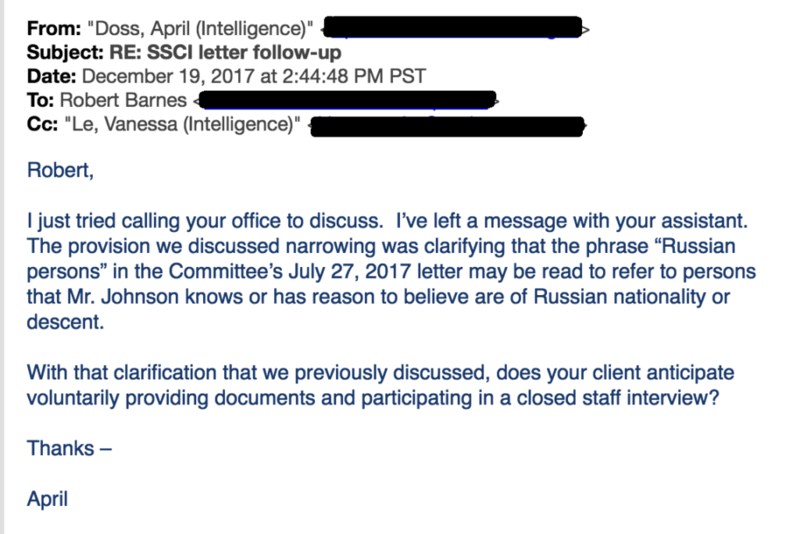 In an email dated December 19, 2017, April Doss—who serves as senior minority counsel on the Senate Select Committee on Intelligence (SSCI)—defined the scope of the committee’s inquiry as anyone a subject “knows or has reason to believe [is] of Russian nationality or descent.” The senior majority counsel for the SSCI, Vanessa Le, was cc’d on the emails. Doss, the former head of intelligence law at the National Security Agency, was reportedly brought onto the committee by Sen. Mark Warner (D-Va.), who serves as its vice chairman and one of its most prominent public faces. Warner has repeatedly said that the committee’s work represents the “most important thing [he’s] ever done.” The chairman of the committee is Sen. Richard Burr (R-N.C.). Johnson told TYT that he intends not to cooperate with the SSCI in any respect. Jill Stein, the 2016 Green Party candidate, also received a request for materials from the committee, and has stated that she plans to fully comply. But as TYT previously reported, a former Stein campaign staffer, Dennis Trainor Jr., said that he has serious reservations about compliance. Polish people have been raped and pillaged by just about every nation in Europe since forever, including Russia. The only way to accurately ascertain Russian descent would be to genetically test everyone. I have been known to watch RT. Will they come for me? I am scared that the feds will show up at my door because I have a few Dostoevsky novels.